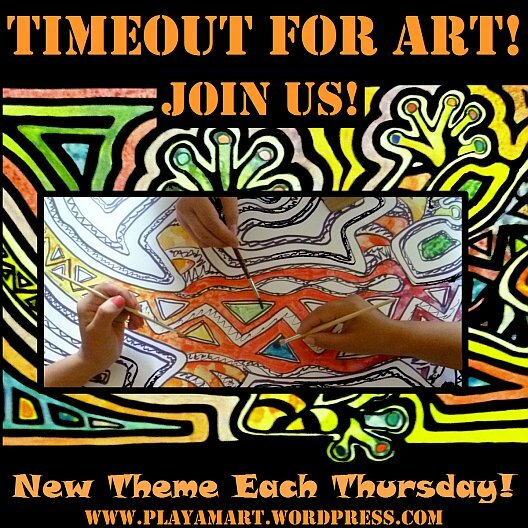 Several pages on my screen reflected an environmental issue as I pondered today’s WordPress Daily Prompt. This post grants me an easy way to share those global concerns with you. Ecuador’s amazing diversity of climate affects me on many levels; we have several mini climates along the Pacific coast, from arid almost desert-like conditions to lush tropical areas near the Colombian border with dry rain forests in between. We have pockets and stretches of cloud forests, the Amazon basin, and those captivating snow-capped peaks of the Andes. People either believe that global warming is a serious issue, or they claim that it’s an ongoing cyclic pattern, and that man has little influence on what happens. Several WordPress friends have addressed this issue lately; Read “Musings of an old Fart’s” Here Comes The Sun and Hugh Curlter’s Scientific Ignorance and Whole Foods. Hugh often manages to trigger a chuckle as he injects his personality into his writings about serious matters. These global-warming issues hit home here in Ecuador, where an avalanche of recent reports states the alarming details of our vanishing Andean snowcaps. We all have suggestions of what to do, how to stop it, but those suggestions point to other areas out of our control. What can we do to help pull our planet out of a straight-down auger into global destruction? 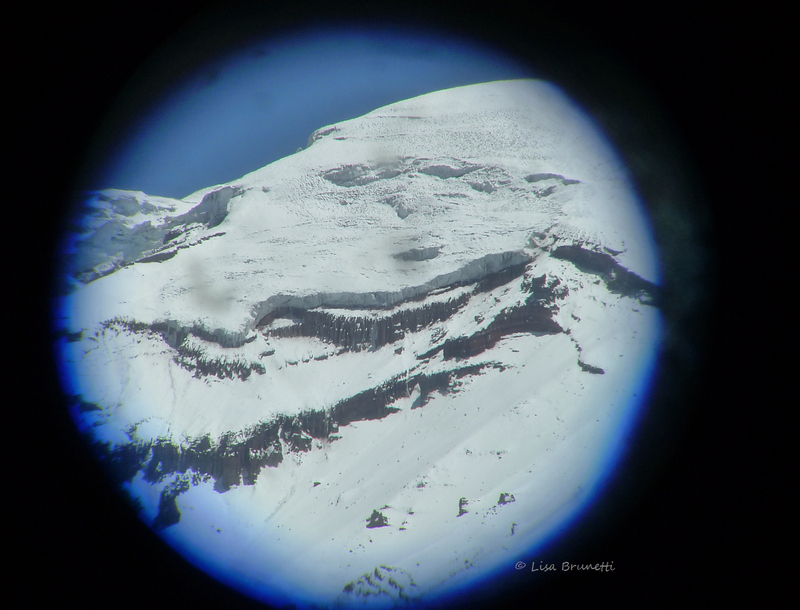 (Volcano Chimborazo through binoculars) Will this classic icon lose its classic life-giving crown of snow? Thank you, Mary. The news articles are sobering, and the Andean snow caps have been in the news a lot lately. Eye opening ~ the video was pure magic. The stats were the horror. Thanks Z. Wonderful post. Thank you so much! I watch the video several times each day.. I might be cooking, and I turn up the volume and watch from across the room! The video is breathtaking, literally! The farmers in this area like to say the peculiar weather is just part of the regular cycles, but they aren’t cycles, they are a spiral — and humans are in large measure responsible. When will we ever learn? Great blog, Z.
thank you. to witness the vanishing ice caps and to imagine that one day they will be gone is heartbreaking. whether cyclic or not, we are helping to accelerate the process. Your story reminds me of the hydrology of my native Pacific Northwest. The irony of a region with a reputation for plentiful rain is that the life-giving water that supports agriculture, hydroelectric dams, salmon runs, recreation, and drinking water depends on snowmelt, not rain. When the snowcaps vanish, so will the millions of people it supports. Not a fine legacy for my grandchildren. thank you for this comment; so many andean towns depend on the water from the paramo, which of course depends on the water from the snowcaps… many are rightfully concerned, just like you are, for future generations. very worrisome, to say the least. Thank you for posting it, z.
most anyone that i know with a higher education would have trouble with that ‘stay put’ advice. the ones will low income, especially here in ecuador, are experts at saying put or using public transportation. they are basically quite happy as well. Scary. I am not sure what we can do, except cherish what we have and encourage others to cherish their little corners too. The video is mind boggling as well as the stats. Heartbreaking. hey amiga! i’ve been to town and back today, did a bit of transplanting and am now back and settled in for the day. your comment made me laugh, ‘i’ll be bock’!!!! It’s Super Bowl Sunday. What’s not to enjoy?! Wow! I don’t know what else to say about the video. It’s terrifying–and truly puts an event like 9/11 into perspective when you compare the event to the crumbling of Manhattan. Indeed, is this the truer terrorism? What we are doing to the planet? Jeez! so true; i’m not surprised that this caught your attention. it’s a sobering video, and i hope to be able to see the movie. Well done Z. What can be done? We need to realize that everything is based on balance, and plan accordingly. If a building isn’t balanced with nature, it shouldn’t be built. Everything we do must be balanced, and I don’t think that is as hard as it sounds. I try to stay put as much as possible, too. Living in a large city with public transporation helps, but we have such a long ways to go. I’m not sure we can do what needs to be done in time. It may already be too, late, but pessimism never accomplishes anything, so we have to get to work. very nice comment! thank you for adding your feedback on this subject; even if most people ‘stayed put,’ it seems that there needs to be some emergency first aid, though what could that be? you are so right; when it hits home/in one’s back yard, it becomes a bit more real. how IS the weather over there this week? we continue to receive a lot of rain here. it’s the rainy season, yes, but wow, it jumped out the gate and has been a strong beginning here on the pacific coast of ecuador. We’re not getting the heavy rains of a week or two ago and mop-up operations and rebuilding (infrastructure and livelihoods) is in full swing, but now we have very high temperatures again sparking very destructive wild fires in especially the south-west of the country. We hope that the wet start to your rainy season is not another bad omen Z.
thanks,amiga. the thought of the wildfires makes my heart a bit sad for all who are affected. my friends in colorado were out of their home for eighteen days last june and did not know if they had a home to return to or not during that time. we received more heavy rain last night, but it’s extremely calm and quiet this morning. the muddy river tells me that the rains were strong upriver as well. i’ve yet to see clumps of bamboo and plantains washing downstream. when that happens, i’ll know that the river’s reaching ‘flood stage’ upriver. Very sobering and what an impressive and provocative video. I was able to witness glacial calving a number of years ago in Glacier Bay, Alaska. It was impressive, but nothing like that video. Once again thanks for sharing! what a great experience that must have been! if you see the movie, please let me know what you thought of it! thanks! Amazing video, and the statistics made me do some research. Powerful, informative, thought-provoking post! Hmm. I wrote a long comment, but it wouldn’t go through. So I’ll try again and just summarize that this is an excellent post that really got me thinking, and the video was wonderful. Thank you. i have had problems getting comments to go through, but thought it was the slow connection…. i hit ‘reply’ and it just swirls for a while — always, so then i thought it was my little burro laptop…..
it’s frustrating when a comment won’t go through and gets lost. we often don’t have the same magic to reconstruct it a second time! Another very thought provoking post and that video really underlined it. Just where is the world going to. I fear for my grand children and their children, they are going to have to really deal with all this. that recent ugly storm and flooding has probably gotten everyone’s attention in your country. i need to check the weather and see what’s happening over there this week. around noon today i left for the port city of manta and arrived at sunset. tomorrow i’ll be in transit to guayaquil ad then back again that night.. the next day full of ‘stuff’ and then home at the end of the day/night. Great response to the challenge Lisa.The glacier activity of the last decade is terrifying. Agree with Pauline,we leave behind a terrible legacy. This was so well done Lisa. I don’t understand how so many can still deny global warming. I read a book recently where the author noted that we are the only species who messes in their nests. How tragic that we can’t see what we are doing to our home. Thoughtful post, Lisa! And that video is amazing! you are so right about that video. it’s sobering! thanks, amiga, for spending so much time on the blog; it’s obvious that you’re a true reader, and not one who flits through and goes like/like/like/like then dashes away!!!! you’re the genuine good gal! hey- GGG! Thanks, Lisa. I do love to spend time reading my favorite bloggers, but in January, with my sons and husband visiting and then traveling to Nepal, I got soooo far behind. Slowly, slowly, I hope to catch up. Now that I’m back in a routine and into simplifying, hopefully I can stay on top of the game!